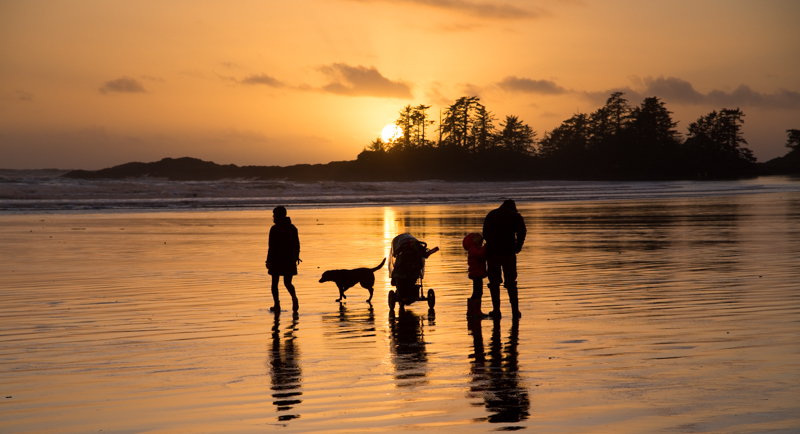 Frank island is a small island connected to Chesterman beach…….during low tide.At high tide the route is cut off by the ocean.The sandbar connecting the beach & Frank is called a Trombolo. I knew that the tide was going out but the Trombolo was still covered in water.I also knew that there is always a brief period when the water is shallow between the waves surging in.I timed it right & ran when I saw my opportunity.I got across with dry feet in the nick of time just before the waves surged back in. I was on Frank island all by myself.Other people saw me there & tried to get across.This couple didn’t have good timing with the waves! He had to carry her across on his back……… & who said chivalry was dead! A FAMILY THAT SURFS TOGETHER….STAYS TOGETHER!